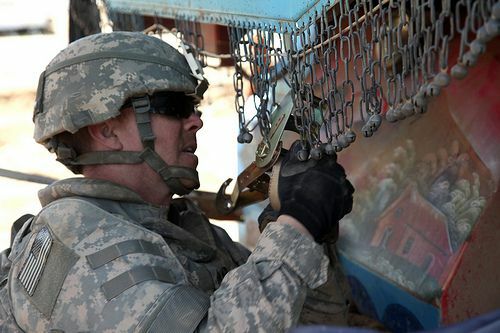 A Soldiers attaches a ratchet strap to a jingle truck on Combat Outpost Jaghato, Afghanistan, on May 20, 2010. Ratchet straps are used to secure a shipping container for transport. Photo via the US Army by Spc. Deyonte Mosley.